Neither am I alone in shunning the flute. 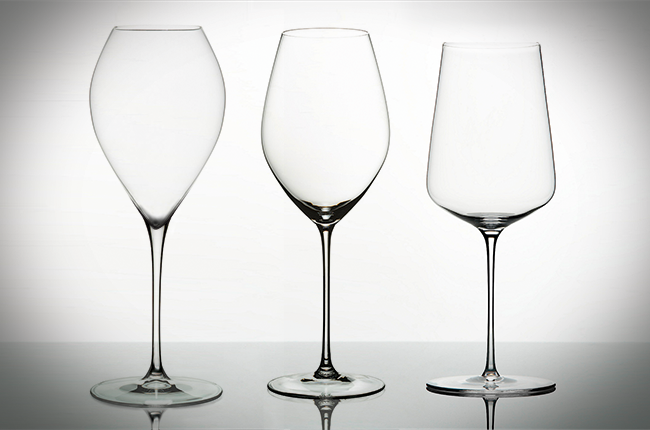 Maximilian Riedel, CEO of esteemed glass maker Riedel Crystal, previously told Decanter.com that his goal was to make Champagne flutes ‘obsolete’. DEBATE: Should Champagne flutes be outlawed? Why did flutes become popular? Flutes are popular because they showcase tiny, rising bubbles perfectly – the enduring and visualised appeal of sparkling wine’s power to refresh. Many flutes even have a discreet nucleation point etched into their inner base to create a steady, vertical stream of fizz. The flute also has other advantages: it preserves the effervescence that so easily dissipates in coupes and saucers. It is also much harder to spill your precious bubbles in a flute, while its serving size is ideal for parties. However, the shape doesn’t do justice to fine fizz. Should we stop drinking Champagne out of flutes? The glasses are popular: ‘We have used them for the past three years at Ruinart,’ says chef de cave Frédéric Panaïotis. At Roederer, they have even replaced the house’s owndevised tulip-glasses for all tasting, blending and entertaining. Concurrently, others had similar ideas. Piper-Heidsieck, Moët & Chandon and Krug, for instance, collaborated with Austrian glass manufacturer Riedel to create bespoke glasses tailored to specific wines. Krug’s Joseph glass, named after the house’s founder, was ‘created to enhance every aspect of the sensorial Krug experience’, according to cellarmaster Eric Lebel. Do different sparkling wines taste better in different glasses? The trend is not confined to Europe. Jordan Nova, restaurant director at wine-focused 1313 Main in Napa, California, agrees: ‘While the majority of guests are used to flutes, we have found that winemakers and savvy guests have begun requesting white wine glasses for Champagne.’ So next time you pop a cork, celebrate the wine as much as the occasion – in a proper glass.